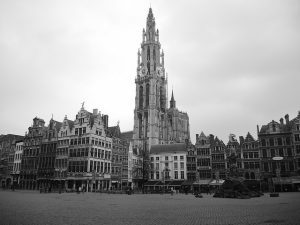 On November 22/23, students and staff are coming together in Antwerp, Belgium, for final presentations in two modules (Research Methods and Interpreting) and to kick off the MA thesis phase! 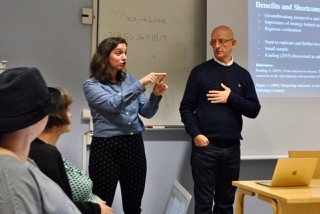 Students will present original, empirical pilot studies to EUMASLI staff and a select group of invited assessors while at the same time interpreting for each other into International Sign. We are especially excited to have a few former EUMASLIs (Emmy Kauling, Chris Tester, Maya de Wit) be part of the team! And a special thanks to Prof. Myriam Vermeerbergen and KU Leuven for hosting this event. On Saturday, Nov. 24, individual meetings between students and advisors will kick off the MA thesis writing process. Stay tuned for public presentations in September 2019 at efsli!